Having an opt-out has almost become standard procedure for recent mega free-agent contracts. Just ask Clayton Kershaw, Jason Heyward, Manny Machado, J.D. Martinez and David Price. That’s even before considering the bizarre “swellopt” that Scott Boras has used for Jake Arrieta, Zack Britton and Yusei Kikuchi. But for new Philadelphia Phillies right fielder Bryce Harper, an opt-out was never under consideration. As he outlined in an interview with The Athletic’s Ken Rosenthal, Harper wanted to stay with one franchise for the rest of his career, and he got that with a historic 13-year, $330 million contract with a full no-trade clause and no opt-outs. Of course, Harper likely could have gotten the long-term security he craved while also keeping his options open. Machado, who held the record for the largest free agent contract for a little over a week, has an out after five years so that he can still hit the market again at age 31. An opt-out can be a valuable tool to procure more value out of a deal, often valued at $20 million or more. But Harper figured that it would be easier for his new team to improve with a full commitment to him, similarly to how LeBron James signed a four-year deal with the Los Angeles Lakers instead of the series of one-year deals he asked for with the Cleveland Cavaliers. How much did Bryce Harper’s decision come down to money? 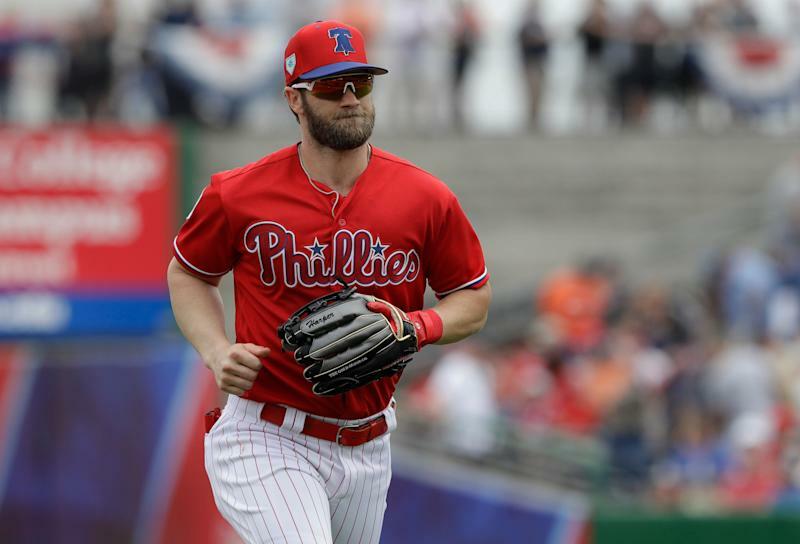 In the end, Harper’s choices seemingly came down to the Phillies, San Francisco Giants and Los Angeles Dodgers. Harper’s request to avoid an opt-out is further illustrated by the report that he turned down a four-year deal with the Dodgers worth $45 million per year. If Harper had taken that deal, he would have hit the market again at age 30 — the tail end of his prime — and would only need to make $150 over the next nine years to match his current deal. Of course, California’s high taxes also would have played into his decision, as Boras pointed out. California’s 12.3 percent marginal tax rate for the highest income bracket is nearly 10 points higher than it is in Philadelphia. And then finally it’s also about fit. Harper and his wife, Kayla, wanted to find a home to raise a family and a community to feel connected with.